Photography is a highly personal artistic and communication medium. I have found that those who are successful in this arena achieve that status because their work is clearly recognizable. Success is never by accident, and the photographers I greatly admire remain consistently clear and compelling over time, and usually with great impact on others in the field. Sebastião Salgado comes to mind for me in the field of visual storytelling with a clear vision. His impact can be seen widely in imitators and co-travellers. The same can be said with the husband-wife duo Bernd and Hilla Becher. 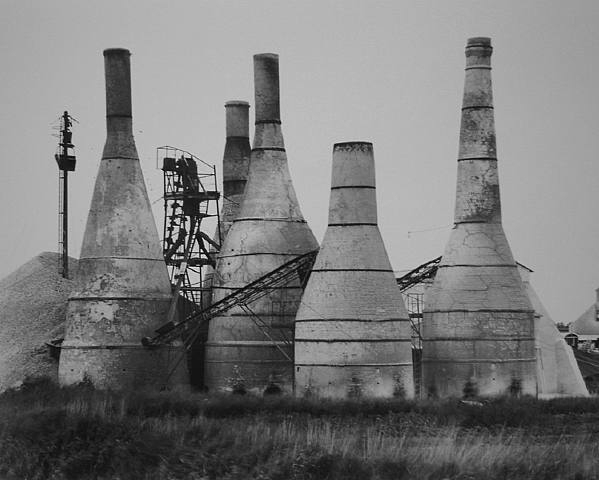 Lime kilns, by Hilla and Bernd Becher. The German couple photographed industrial architecture in Europe and North America for nearly 40 productive years, until Bernd’s death in 2007. Their easily recognizable subjects include water towers, blast furnaces, gas tanks, timbered homes, and other industrial features. The pair published books with their images, grouped together in what they called “typologies,” or sets of images of the same objects from different geographic locations, usually in sets of say nine or 21 images. 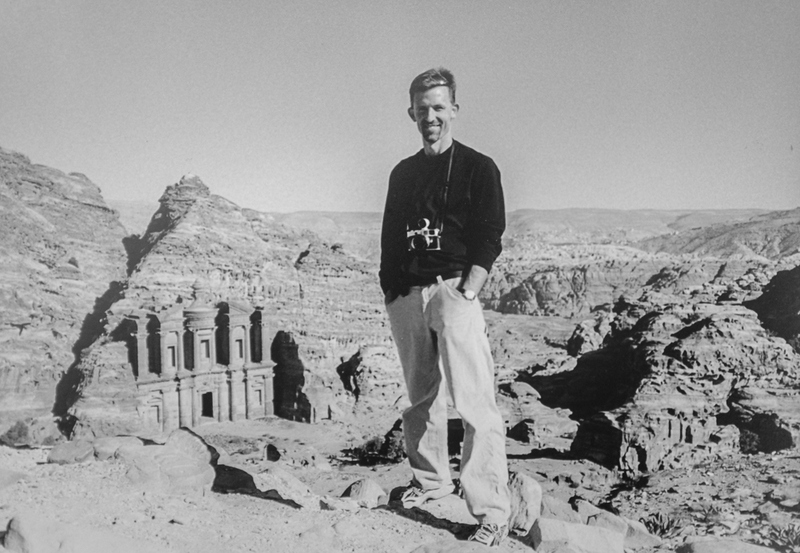 Each image would be photographed identically, with direct frontal composition, no lens distortions, and with a neutral density skyline that did not distract the viewer from the subject. Their books of photographs, such as Industrial Landscapes and Typologies of Industrial Buildings, compile their work into compelling sets of images. The influence of their aesthetic can be seen in numerous imitators and students, including this series I found recently on abandoned homes in Detroit. Toward the end of his career, Bernd taught at the Kunstakademie in Dusseldorf, leading to a crop of photographers and a style of picture-taking that is is known as the “Dusseldorf School of Photography.” Bernd’s well-known and accomplished students include Thomas Ruff and Andres Gursky, one of the most celebrated photographers of the world who has sold the world’s most expensive photographic print. Bernd and Hilla Becher, Blast Furnaces, at the St. Louis Art Museum. I may have stumbled over the Bechers’ work without knowing it. 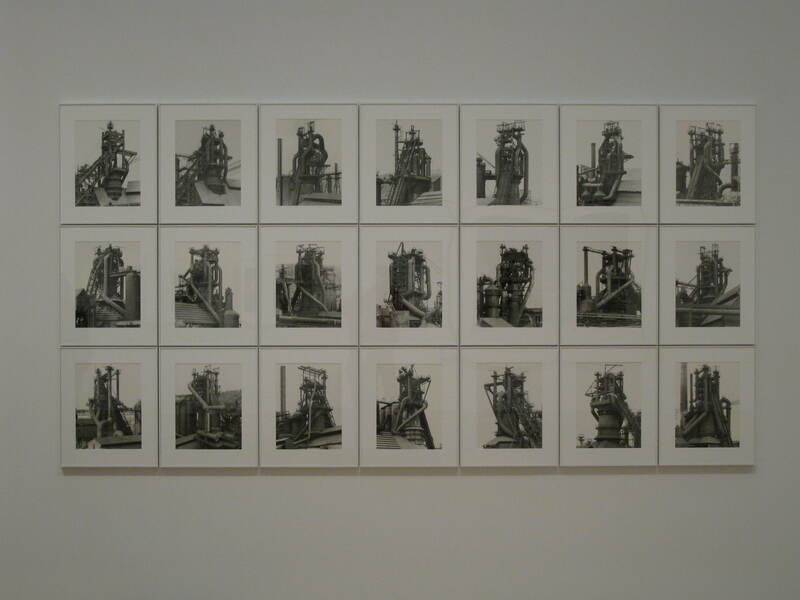 However, I do recall feeling trapped in a hypnotic trance when I discovered a collection of their blast furnace images, or typology, in the new wing at the St. Louis Art Museum in December 2013. I felt a deep kinship with their interest in industrical landscapes, perhaps because I grew up in St. Louis and was surrounded by similar forms in a city that was dying as an industrial center during my years there. I also felt a connection because I sensed something profoundly post-World War II about their work. Like it or not, they were a product of that experience, and I can feel it having also traveled widely in Germany on several trips and having studied this period of history intensely. What is strikingly odd to me is I do not believe I was influenced by either of them. Yet the way I chose to explore my photographic project documenting concentration and death camps in five European countries closely mirrored the style of the Bechers. Even the way I chose to layout my photographs of crematoria, where murdered prisoners bodies were burned, bears an eerily familiar resemblance to the Bechers’ amazing work. I don’t know what more to make of this except to say that I feel satisfied that my presentation style and methods are not singular. I also feel that the effect of combining similar images of strikingly mundane but complex objects can have greater weight in the format of a typology. With that heavy photographic pontification complete, I present a screen snapshot of my crematoria series on my web site, followed by two screen snapshots of the Bechers’ typologies that I found online and also captured as a screen snapshot. 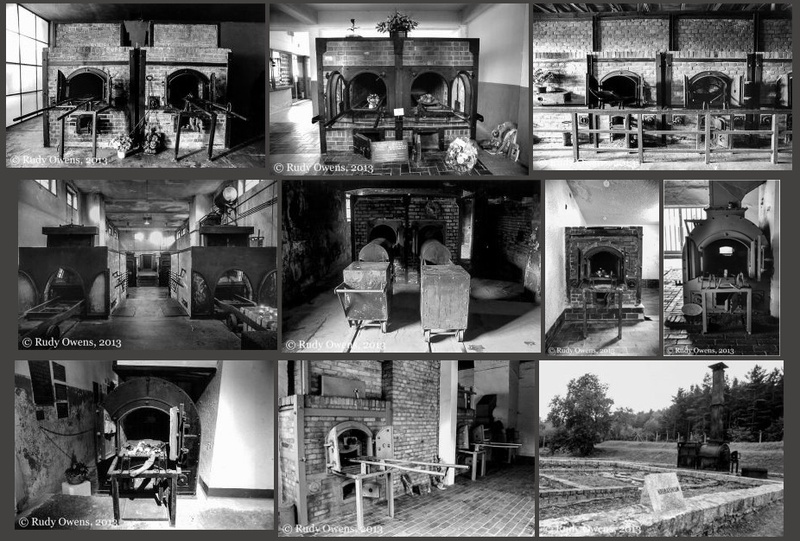 Rudy Owens’ series on crematoria at Nazi concentration and death camps in Europe. 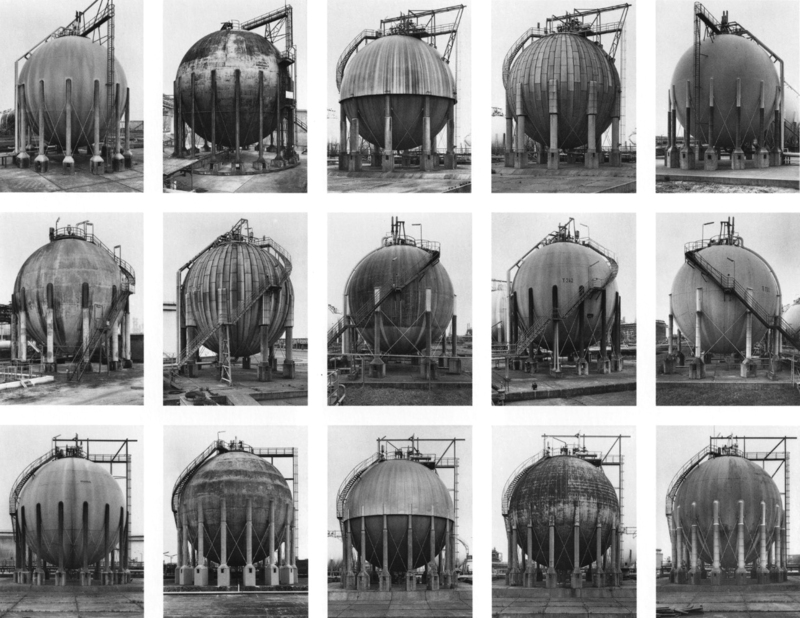 Bernd and Hilla Becher, Gas Tanks. Screen snapshot of the Bechers’ many typologies and series, taken from Google’s “image” tool.